Year 13 student, Tyler, has received a conditional offer to world-renowned university, University of Oxford, to study computer science and mathematics in September. Tyler, who joined UTC Oxfordshire in Year 10, when it first opened, will need to achieve A*, A, A in his exams this summer. 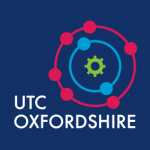 “Studying at UTC Oxfordshire has definitely helped me to prepare for this next step. Sue has been an amazing help; she is just incredible. She has sat with us to discuss all of our options, whether that be university, an apprenticeship or employment and has given continued advice and guidance. We have also had so many opportunities thrown our way with Sue sending a constant flow of emails about work experience and future placements. To add to that, the quality of teaching here is outstanding and has helped us to achieve everything we have so far”. Congratulations to Tyler on receiving his conditional offer and we wish him the best of luck in his studies and beyond. UTC Oxfordshire opened in September 2015. It specialises in science and engineering and it's backed by leading companies in these industries. Copyright © 2014-2019 UTC Oxfordshire.